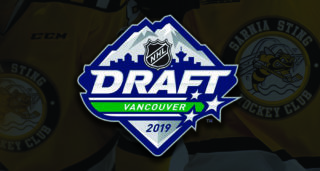 It’s the best time of year – the playoffs are here. 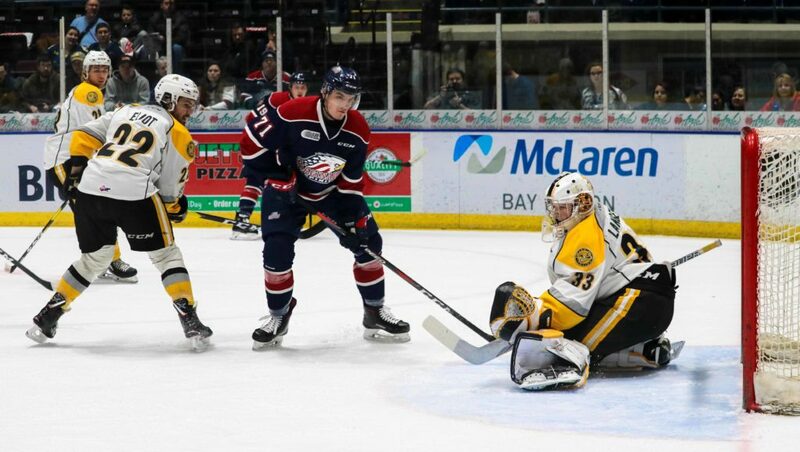 The Sarnia Sting visited the Saginaw Spirit on Thursday evening for the opening game of our Western conference quarterfinal series. In the first period, we got off to a smoking hot start. Sting forwards Hugo Leufvenius and Franco Sproviero were the architects behind our stellar opening frame. Leufvenius gave us a 1-0 lead just a little over four minutes in. Sproviero found Leufvenius with a perfect spinning pass from behind the goal line. Leufvenius was armed and ready in the right circle to launch a one-timer. It soared past Spirit netminder Ivan Prosvetov and into the cage. Leufvenius and Sproviero were back at it again late in the first. With only three seconds on the clock, Sproviero out-muscled a Spirit defenceman in the corner. Sproviero dished out front to Leufvenius, who was wide open in front of Prosvetov. Leufvenius fired it home to give us a 2-0 lead after the first frame. In the second period, the Spirit responded. Goals from Saginaw forwards Blade Jenkins, Ethan Cardwell, and Owen Tippett made it a 3-2 game through two stanzas. Moving ahead to the final period, the Sting made a strong comeback effort. 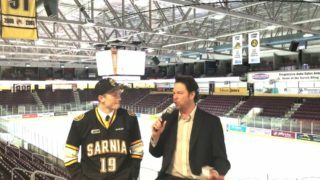 Saginaw rookie forward Cole Perfetti scored six minutes in, but Sarnia came right back. Sting defenceman Nick Grima scored his first of the postseason with a terrific shot past Prosvetov. Sproviero was once again the playmaker, using his unreal vision to spot Grima streaking into the offensive zone. Joining the rush paid off for Grima, and his goal brought us within one. 4-3. Sarnia battled hard to the final buzzer but just couldn’t break through with another tally. Saginaw recorded late goals from defenceman Bode Wilde and Tippett to seal tonight’s final score at 6-3. 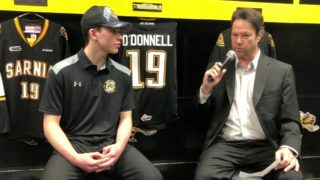 Ethan Langevin had a solid game in net for Sarnia, turning aside eighteen shots. Langevin made numerous timely saves in the third to keep the Sting in position for a comeback effort. We’re back on the ice for game two on Saturday night! We’ll look to draw even in the series with a 7:05 PM puck drop at the Dow Event Center. Our first game of the playoffs at The Hive will be on Tuesday! Make sure to join us for 7:05 PM game time – the rink will be rockin’!